During the early hours of Saturday, April 8th, 20 year old Meghan Holland sustained a stab wound to the chest in Caye Caulker. According to the official police report, while Caye Caulker Police were patrolling on Luciano Reyes Street at 2AM, they received information that a fight was occurring in front of the Police Barracks. When they arrived, they saw Holland making a lot of commotion. She indicated to the Police that she'd had a misunderstanding with one of her cousins. The officers advised her to make a report at the Caye Caulker Police Station, but she refused, and went home. However, a few minutes later, police received information that Holland had collapsed at her home. She was then rushed to the Caye Caulker Health Clinic, where police, along with medical authorities, observed a stab wound to her chest. Police stated that they did not observe any prior injuries on Holland, nor did she complain of any at the time of the commotion. Holland was later transported to the Karl Huesner Memorial Hospital in Belize, City to undergo further medical treatment. She was in a stable condition, and was released. 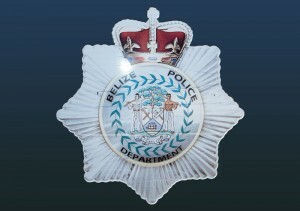 While police were trying to locate her assailant, they indicated that Holland refused to give an official report, and has since left the island.